Grey nomads seeking to stay in online contact with the outside world as they travel are increasingly discovering the joys of a new mobile hotspot from Telstra. 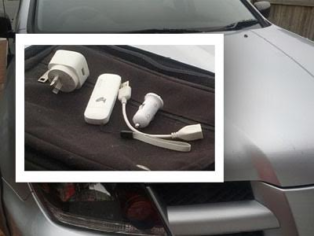 The Pre-Paid 4GX Car Wi-Fi allows travellers to plug a dongle into their vehicle’s USB slot or cigarette lighter slot or 12 volt power outlet to create a Wi-Fi hotspot that can connect up to five compatible WiFi devices. It means phones, tablets, laptops or WiFi-capable car radios are all available to help those on the road keep in touch with everything from family and friends to investments and road or weather information. When it is plugged in, the Telstra 4GX Car WiFi is automatically activated and will connect to the Telstra servers, switching to Telstra’s ‘fastest available 4G’ or 3G speeds in other coverage areas. The Telstra mobile network offers 4GX in all capital CBDs and selected suburban and regional areas, and is progressively being rolling out to more places. 4GX uses superior 700MHz spectrum that can go further than previous 4G frequencies, creating extra 4G coverage in rural and regional areas. Telstra’s GM of Emerging Mobile Devices, Nick Broomfield, said the product gave customers a flexible and reliable way to connect to Australia’s most road-trip-friendly network when in coverage areas. “With coverage across more than 2.4 million square kilometres of land, this product will help Aussies connect to the Telstra Mobile network in more places when they’re travelling,” he said. The Telstra Pre-Paid 4GX Car Wi-Fi also comes with an AC wall charger for when you have found a place to call home for a while. for $10, a $50 option including 5 gigabytes with 12-month expiry, and a 16-gigabyte option which costs $140 and lasts two years. The era of integrated internet connectivity is dawning and it offers exciting opportunities for grey nomads in everything ranging from in-car entertainment and information to safety and security. In the European Union, for example, every new car sold after March 31, 2018, will have to have an eCall emergency system that will trigger an automated notification to emergency services when an accident is serious enough to activate the vehicle’s air bags.